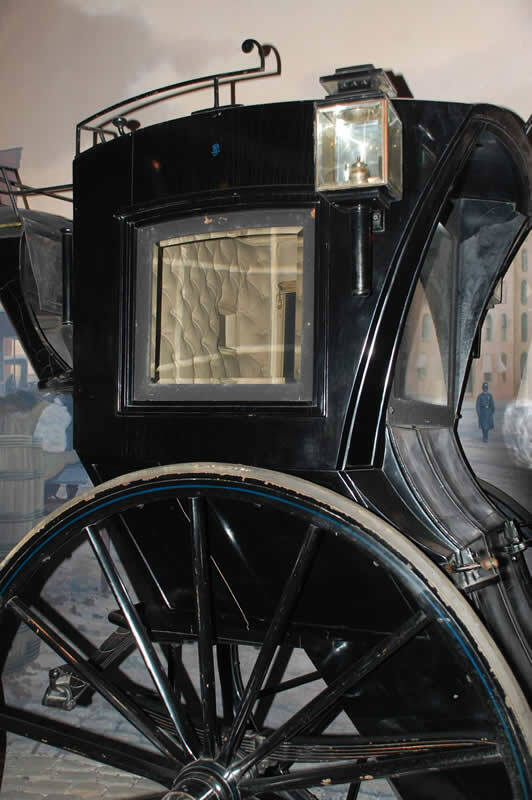 REPOSSESSED BY SANDY PARKS IS AVAILABLE IN EBOOKS AND PRINT. Sandy's contemporary stories hike up the action, adding savvy villians, high stake challenges, and a team of multi-faceted characters. 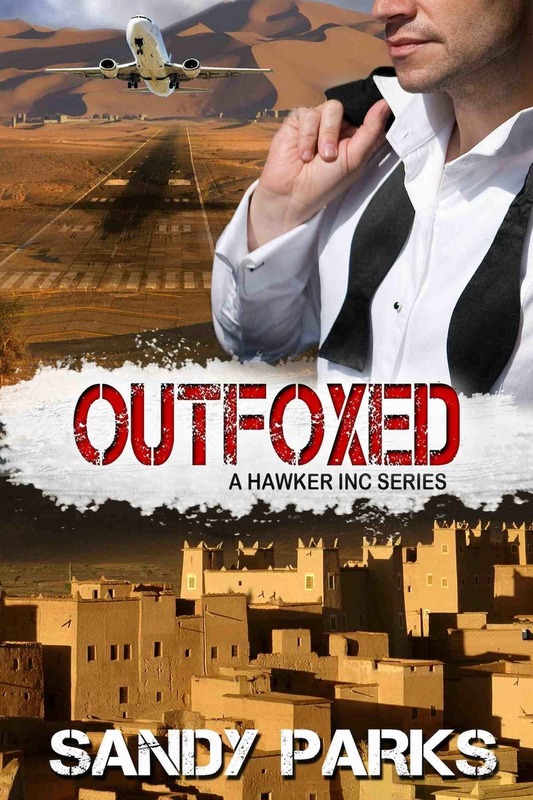 So sit back, settle in, and get to know Hawker Incorporated's reclusive owner, Graham Dunlop, and his team of talented heroes who steal back high-end aircraft . . . that is, of course, after they find them. Hawker Dunlop's repossession team demoralized and in jail. 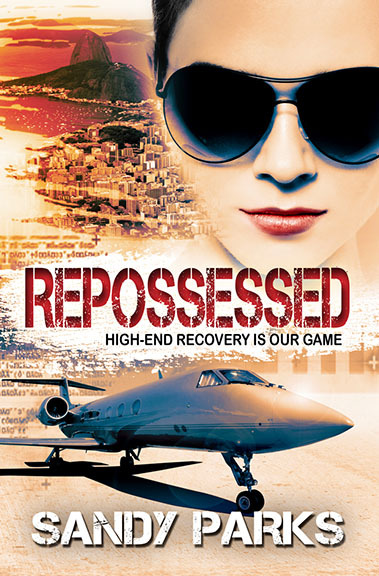 Ex-military pilot Jet Walczynski and her crew are back in a mission to repossess an airliner in Ecuador. The mission falls apart when they are betrayed and the team disintegrates. Dunlop’s lawyer, Gregori Demos, sees justice as the best recourse for bringing them back together...if the new mission doesn't kill them first. 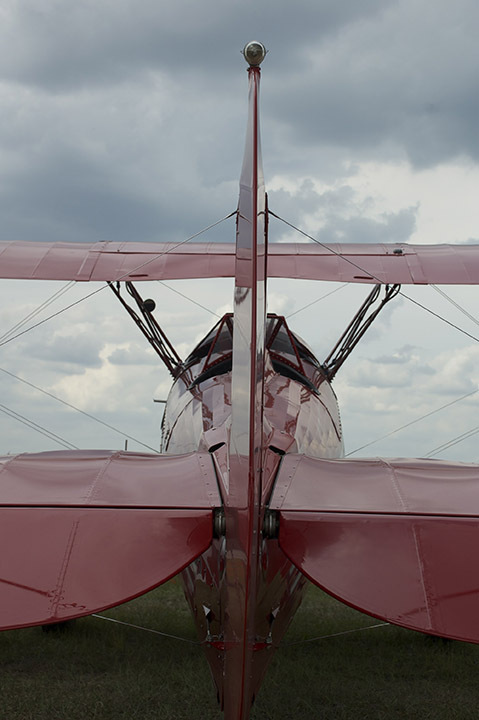 Their task—locate the missing aircraft, nab the betrayer, and uncover the people who financed the deadly con. Adding to the difficulty, the CIA has taken an interest in this repossession gone wrong and will gladly sacrifice Dunlop’s people to order to uncover Zinsli’s intentions. While Jet’s team fight personal demons and battles to stay ahead of the opposition, time is counting down. As the truth is revealed and Jet’s team is forced to make precipitous decisions, will they succeed or be outfoxed once again? Former military test pilot Jet has taken on work for Dunlop, a specialist in difficult, ellusive, and highly profitable recoveries. Her fellow teammates believe she works for the thrill or money, but in truth she is striving to keep her mom and the family Vegas fly-in casino in business. Reclusive, suposedly because of the many threats on his life, Dunlop has a passion for his two favorite countries, Britian and the US. He keeps his identity from everyone on the reposession team except for his long time friend, Gregori, who shares a secret background with the man he calls Hawker. His friends call him Gregori. This moody Greek lawyer, who appears as at-home in athletic gear as he does a suit, is a specialist in corporate law and digs into villians' backgrounds to discover what they'd prefer to leave buried. This son of a shipping magnate has his own agenda, stemming in part from the murder of his older brother years ago. Lenny is frequently the victim of his own cons, but this pick-pocketing, big-talking, ex-New Yorker, knows low-lifes like the back of his hand. When a plane disappears, he puts his nose to the ground and sniffs out the location. He's doing his best to stay on the right side of the law to impress the new love in his life...the hottest mechanic in town, Roxy. Roxy grew up following in her father's grease-stained mechanic footsteps as they worked on aircraft, cycles, and about anything that moved. She gets uber focused when on a job, right down to her nails, which she paints to match the country of operation. Ian is a buddy of Dunlop's who works for the CIA. In what capacity, Graham isn't sure, but it must be high up. Whenever he runs across funky things during a repo, he lets Ian know. All is not smooth sailing between the two, though, because hiding secrets from one another is a quick way to end a friendship. When the rich don't pay, someone takes their toys away. 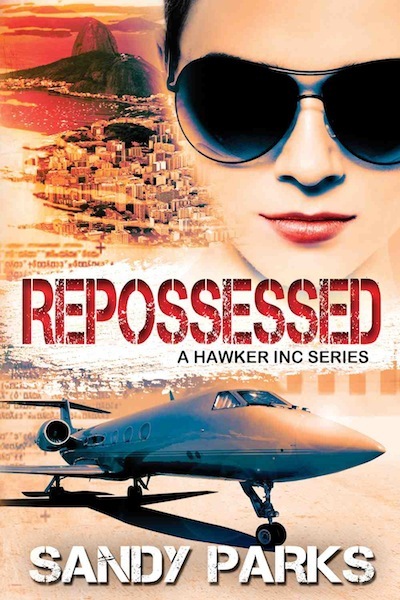 Awards for REPOSSESSED. . .